Born and raised in Vancouver, Julie spent the last 13 years living and working in New York City, most notably as a Rockette at Radio City Music Hall from 2005 until 2010. She appeared as a Rockette numerous times on The Today Show, The Macy’s Thanksgiving Day Parade, the Rockefeller Center Tree Lighting Ceremony, and on So You Think You Can Dance Canada. Other performance credits include Louise on the US National Tour of Crazy For You, Margie in the Movie Remake of Bye Bye Birdie, and regional productions of Chicago, Cabaret, Guys and Dolls, 42nd Street, Evita, My Fair Lady, Fiorello, and The Arts Club production of The Producers. Julie served as the Associate Choreographer and performed in Washington, D.C.’s Kennedy Center production of ‘Celebrate Broadway’, starring John Lithgow and Linda Eder. Guest teaching highlights include the Mediterranean Festival of the Arts in Italy, DanzaActiva in South America, Broadway Dance Center, Dance Masters of America, The University of Maryland, and the National Dance Week Conventions. Recent choreographic credits include productions of Little Shop of Horrors and I Love You Because (associate), the Season 2 premier of YTV’s Mr. Young, the UBC Thunderbirds Dance Team, and assisting with the 2011 Scotiabank Grey Cup Gala. Julie was part of the dance faculty at The American Musical and Dramatic Academy in New York for six years. 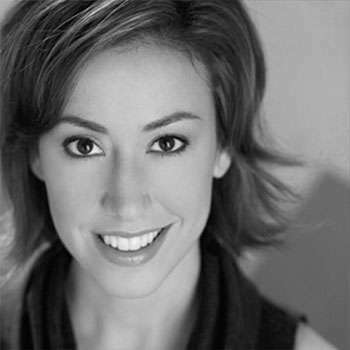 She currently teaches dance in the Musical Theatre Department at Capilano University as well as at Harbour Dance Centre. Julie has a true passion for education and the arts and hopes to inspire others to follow their dreams.